Living The Dream: Keynes, Copernicus & Mayans, Oh My! Keynes, Copernicus & Mayans, Oh My! 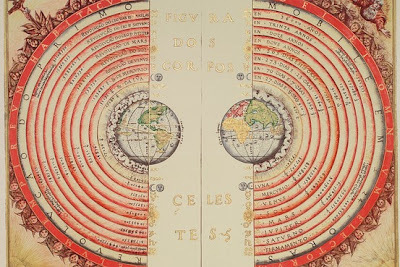 An illustration of the Ptolemaic geocentric system. The sense is growing around Washington, and this increasingly includes Democrats, of living in an alternative universe. Barack Obama gives his State of the Union speech, the sequester looms, and the president flies around the country giving speeches. He's had virtually no contact on the sequester with the legislative branch. Now he's going to meet with them after the sequester happens. This is unusual. We need to look outside normal politics for explanations. The Obama administration is trying to pull us back into what astronomers would call the pre-Copernican world. 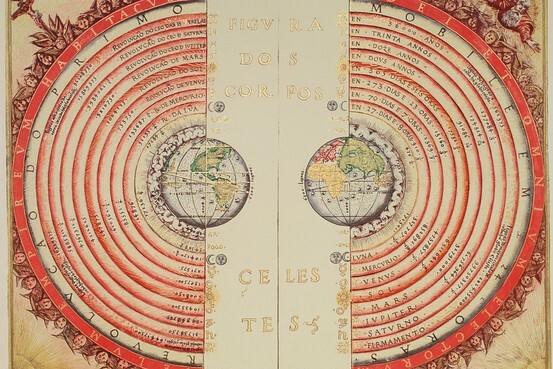 Copernicus' heliocentric system overthrew what was known as geocentrism—the belief that everything in the universe revolved around the earth. Beautiful maps exist depicting geocentrism. Economic thinkers since at least the time of, well Copernicus, have understood that national well-being derived from private individuals going out into the private world to produce goods and trade goods, an activity that for centuries has created wealth for many nations. No longer. Mr. Obama and his circle divide the economy into separate parts. In the Obamaian universe, the units of the private economy—companies large or small—are satellites orbiting the great fixed planet of public spending. All material and economic life in the Obamaian model radiates outward from a central source of public spending. This is why spending in the Obama presidency abruptly jumped as high as 25% of GDP from a 40-year average of 20% of GDP. In "Star Trek," as I recall, its genius creator Gene Roddenberry routinely made clear that people living in an alternative universe always needed a "life force" unique to their planet. Something that kept the people on the planet going, like a magical green ooze. In the Obamaian universe, the life force is a fairly weird contraption known as the Keynesian Multiplier. As explained by its adherents, for every $1 of public spending, the whole economy will rise by $1.50 or even $2. As life forces go, the Keynesian Multiplier would be really remarkable. Alas, Copernican economists such as Robert Barro have been asking repeatedly the past four years for the evidence that all this spending in Mr. Obama's public universe has been expanding the economy at this rate. Indeed, the Congressional Budget Office just said that in 2013, which will be the fifth year of Obama budgets that spend about $3.5 trillion annually, the economy is only going to grow 1.4%. For that, Mr. Obama has an answer: more spending, which would be made possible by ratcheting up the volume of revenue flowing into the spending machine via whatever cats-and-dogs tax increase he can get through Congress. Maybe the Keynesian Multiplier, like green ooze, just doesn't work. It doesn't matter. As with geocentrism, the president's pre-Copernican political economy is based in religious belief. This is why House Speaker John Boehner and so many others have never been able to get on the same page with the president about the upward slope of federal spending. He doesn't want to cut spending. He wants more of it. Forever. Public spending is beyond ideology for Barack Obama. It's the oxygen in his universe. This explains Mr. Obama's End-of-Days speeches the past week. Rationalists around Washington's professional budgeting community have been trying to explain that this apocalypse is entirely avoidable. The bureaucracies can move spending under many shells. But Mr. Obama really believes the stars will fall from the sky if spending declines. In Washington's standard model, it's all just politics. Mr. Obama is running an established strategy of driving public opinion to marginalize and ultimately defeat Republicans. Who could doubt it? But maybe it is also time to start taking Barack Obama at his word. Maybe it's time to come to grips with the fact that he sees the public economy of federal spending as the life force of the nation as no president ever has, not even Franklin Roosevelt. If after all these years no one in Washington can cut a deal with Barack Obama on spending, taxes and economic growth, maybe it's because he is in a place indeed occupied by no one else.